Five reclining positions provide ultimate comfort and make it suitable for newborns, infants and toddlers. 9 different height positions; when your child grows you can sit him or her at the table by removing the tray. The buttery soft upholstery is stain resistant, durable, easy to remove and can be wiped clean with a damp cloth. Extremely compact, standalone fold makes the Siesta perfect for any size living space. Easy to Clean Upholstery is stain resistant, durable, easy to remove and can be wiped clean with a damp cloth. Inlcudes dishwasher-safe tray liner.. This high chair is very high quality, comfortable, and durable. It�€™s very easy to maneuver to different areas when needed and is easily wiped down. I purchased the Peg Perego Siesta High Chair from Albee Baby and it came fast and in perfect condition. I decided to return the chair for a different color for no reason other than it was my mistake when purchasing in the first place. Their customer service was fast and very nice through the whole situation. We now have 2 of the Siesta high chairs and will definitely return for future purchasing. Baby and I love this high chair! It is so easy to move around, clean and store. Bought it for my baby since she was 2 months old since it has a great recline, I just layed her down while I was cooking. This high chair will grow with my baby! Love that the tray can be stored in the legs, the material is easy to clean and looks great. 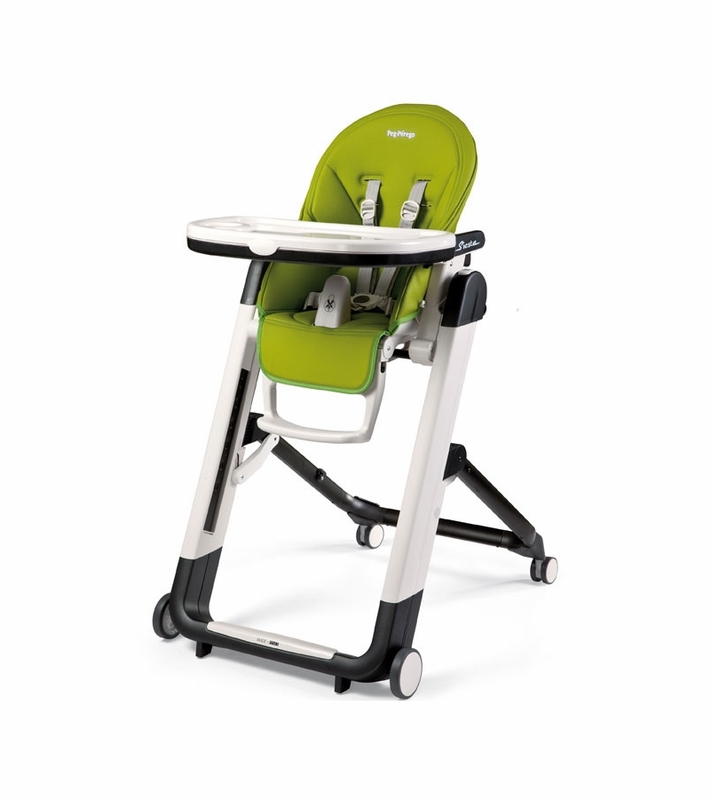 This high chair is the ultimate in look, function, stability and safety. The aesthetics of this chair are highly appealing (I don't mind it sitting in my dining room all the time), and the safety features are unrivaled. There is not the slightest wiggle to the chair, and I feel completely comfortable putting my little one in it. I particularly like the variety of reclining positions the chair has, which is great for stages when head control is still being acquired. Both my sister and I have this chair, AND we have a third one we keep at grandma's house for the little visitors! 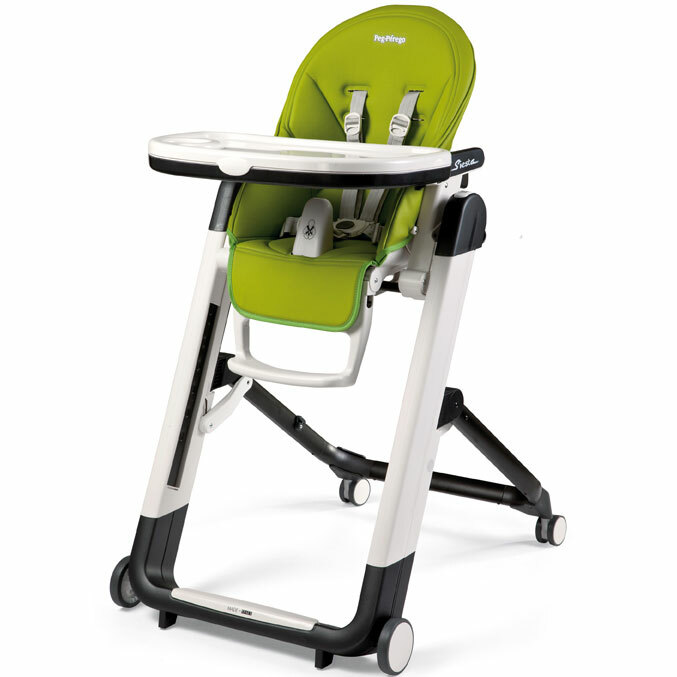 I researched a lot of products and for what we needed this high chair fit the bill! We live in a townhouse so something that could be easily moved out of the way is a plus AND while it is up and out it looks great. I love that we can make it higher to sit with us at our bar or high top table, and lower it so LO can sit out at our formal dining room table as well. We also got the booster insert so our little guy fit a little better in it and it�€™s so cozy! The quality of this product is good, and should be expected with the $300 price tag. The chair liner is not removable and is a vinyl material for easy cleanup. The downside of this, is that the material does not breath and your kiddo will get sweaty after a period of sitting. I think I would prefer a removable, machine washable liner that can breathe. Overall, we are satisfied with the chair and I would recommend it as long as you are aware of the sweaty situation. Compare with other high chair I think this is a masterpiece and functional at the same time. Children's chair is very comfortable, beautiful, for those who love quality things. ProsThe chair is adjustable in height, unfolds, moves easily, and your child is safe. Bought this for my 4 month old who isn�€™t quite eating solids yet. She loves to sit in it and watch her siblings during meal times. It�€™s comfortable and supports her well. The tray is not too high for her to reach her toys and the footrest is great. Highly recommend! High quality and my baby loves it!! This is a really beautiful high chair that's excellent quality. The leather is beautiful and very easy to clean and the chair maneuvers nicely. 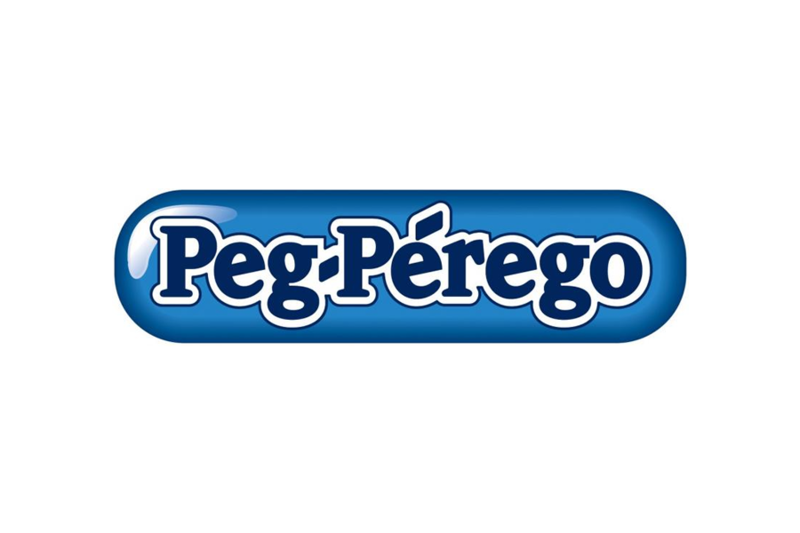 We had a defective tray (wouldn't fit into chair) upon arrival but Peg Perego sent a new one right away which was awesome. My only issue with it is the harness, I ended up removing the top harness straps because my daughter doesn't need to be strapped in and they just kept collecting food. The straps aren't the easiest to clean but you can put them in the wash, although who has time to wash them after every use? Overall, very happy with the high chair and it's beautiful design and excellent quality. I bought peg high chair for my 5 months baby, she just started to eat solid food. It�€™s a great product, especially the wheels that can be easily to move around the house. In addition, baby can play toys for a while on the chair, I can cook my meal. Highly recommend! So many great features in this chair with reclining for infant use and adjustable foot rest and tray as the child grows older. I love how you can pull the chair right up to the table as well! my baby really love this hair chair. It is very comfortable to eat and play. I brought it for my 4 month's son and it is a perfect chair. I love it since it can adjust different positions based on the needs and the color is bright and clean. I bought this for my grandson who is almost 6 months old. My daughter and her husband love it. It has multiple features. The seat can be adjusted at different angles and the soft leather is exceptional. The tray is easy to glide in and out. I love the fact that you can wheel it around easily. It folds for easy storage. Just seeing my daughter�€™s satisfaction with the high chair made me smile. It's just gorgeous! 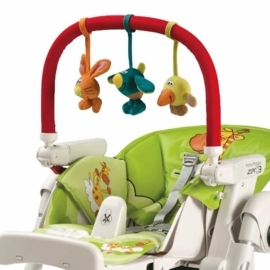 It fits in nicely with the other baby items we have (ie, Nuna play-yard in a similar color). I love that the fabric is also one that is wipeable. Overall, very impressed! The high chair is exactly as pictured in the photo. However, trying to understand Italian instructions/graphics was not too easy with pregnancy brain! However very pleased with the purchase. I fell in love with this high chair at the NY Baby Expo and bought it on the spot. It's sleek and fits in well in a small NY apartment. The color is what struck me most. My daughter enjoys hanging out in it be it while eating or playing when dad is in the kitchen. This is a great high chair. I use it at a counter height bar. It is to clean and move around the house. I wish I had it for my daughter when she was a baby. A great high chair that we use everyday. It's a life saver. I like the feature that the position can be changed easily. Only one con: It seems hard to clean if the baby makes a big mess. 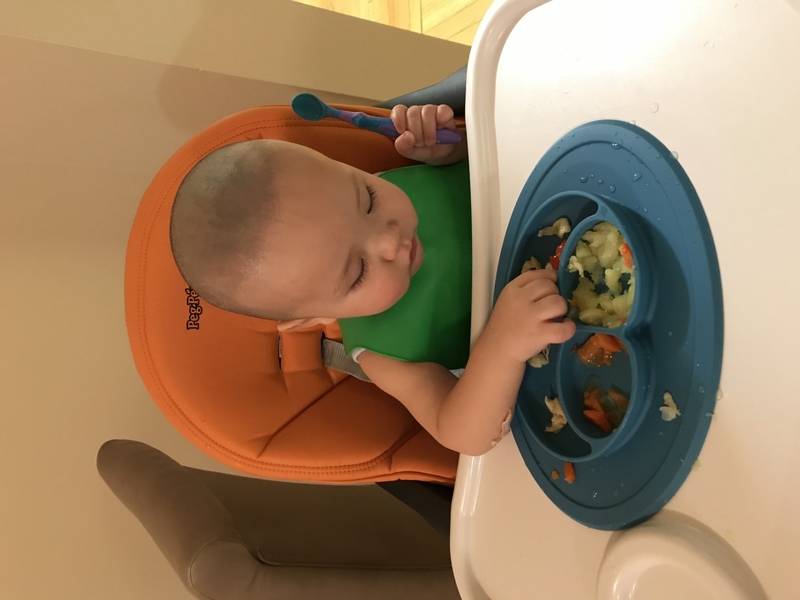 We purchased this chair when my son was ready for some solid foods and we couldn't be happier. The wheels are a huge selling point because it was easy to move him around on our wood and tile floors once he was strapped in. He only fell asleep once in the chair but the reclining position was very handy when he did. The height of the seat at its highest position provided my son with the ability to watch me work in the kitchen and not feel so left alone while I watched him and completed kitchen chores. I love this high chair and so does my son. Is it perfect? No, but it's the closest thing I've found. It feels very sturdy, unlike the 4Moms that I had and the Chicco Polly. It doesn't take up a lot of space, which the Oribel Cocoon did. The pad seems very durable which is the total opposite of the Chicco Stack. I love how the height is adjustable, has wheels that lock and unlock, the tray can be adjusted closer or further from baby and the cover wipes clean easily. The only thing I don't like about this high chair is that my son seems to sit a little low. I feel he should be higher. However, he doesn't seem bothered by it. We first fell in Love with this close to you when we were visiting my sister in law. It was so smooth to push around and the seat part was very soft and comfortable for the baby. We knew we needed to get rid of a first high chair and buy this one for our second baby!! You really get what you pay for. My friends are also have baby. I was try their high chair and compare with them.I know their are many other brands have better high chair, but i's good enough for this price.It worth this price!Go get it! I was searching for the perfect high hair for our little one. My sister told me about this one and I thought I'd try it out. And let me just say, I couldn't be happier that I did. This high chair has it all, and it's very easy to use. I definitely recommend this to anyone looking to buy a high chair. We received my baby's high chair and he loves it. I actually order this high chair because a friend has it and i fell in love with it. It very easy to clean and comfy for the baby. I would really recommended to anyone. It is pricey but I am satisfied with my choice.It was easy to install and easy to carry around cuz it has wheels! I like features and design. My 6month old son likes to sit on this chair! Exactly as advertised, and perfect! We love all the features, the compact folding up, the support. Less than fun to clean banana out of the tray edge and straps but what high chair doesnt have that problem? We love it! 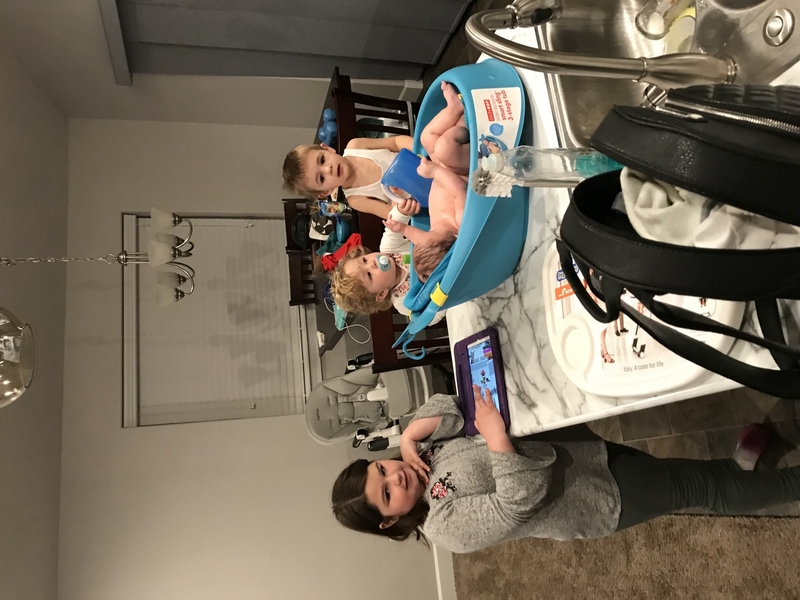 I have not started using this high chair but overall I think it is a great product. It took us quite some time to set it up with the help of some online videos (made by other users). The instructions are not very clear. But once we had it set up, it works very well. It has all the features I am looking for. A bit heavy so not ideal for taking it out home. Great high chair! This was amazing for our child when he was just a newborn. The siesta had a perfect recline that helped put our baby to sleep while rolling him back and forth. Excellent High Chair with so many position. And it's so easy to clean. We love this high chair for the ease of use. Love that the chair can adjust height and reclines. It even has a foot rest for our baby to relax and eat. We just started solids and we recline the chair one notch to help our baby take down her food without spilling on herself. Worth the price! We originally purchased this high chair solely because it would allow our little one to sit at our counter height table, but it has so many wonderful features! It arrives fully assembled, folds easily, the tray stores on the back, and is well-made! It was definitely worth the price! I love that there are many adjustment options. Up, down, lay down, or sit up right. The material is very soft. It has everything you need in a high chair. Excellent highchair.Very comfortable for use.